Sony Alpha a7S III Leaked ? 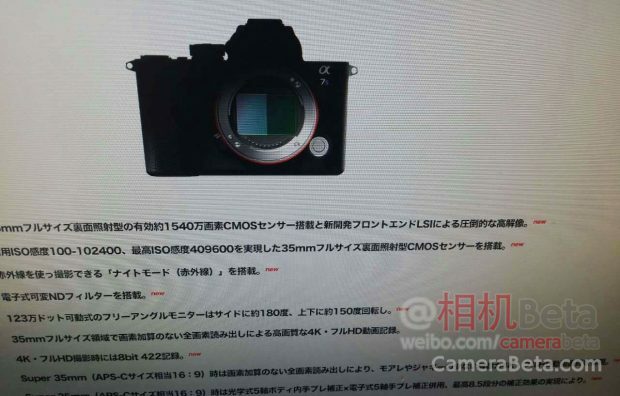 A Chinese website CameraBeta has leaked the first image and specs of rumored Sony Alpha a7S III full frame mirrorless camera. According to the screenshot, it will have a 15.4MP full frame mirrorless sensor, current a7S II has a 12.2MP full frame sensor. Panasonic just smashed them with their 10 bit 4k 60fps gh5.